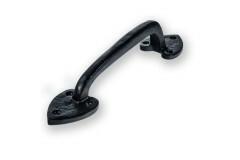 Door Pull Handles are often seen in commercial environments, from shops to museums, offices to hotels, and designed to allow easy access through the door simply by pulling it open rather than needing to turn a handle to disengage a latch or lock. We have a range of styles, sizes and finishes to choose from including bolt through handles, pull handles on rose and pull handles on plate. 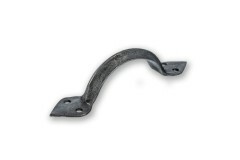 So whether you're looking for a large handle to use as the main pull handle for a door, or a smaller one to serve a more decorative function, we have traditional and modern styles that will be just the job! Don't forget; with our LocksOnline 2018 range of door furniture you can take advantage of our Whole House Discount - saving you an extra 10% off your door furniture! 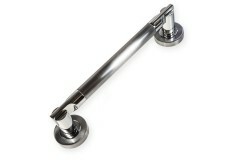 The LocksOnline "Avantime" Door Pull Handle on Rose has a modern design style combining polished chr.. 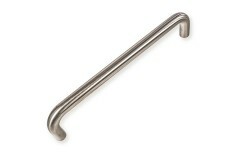 This substantial and solid door pull handle is guaranteed to look the part on any door where traditi.. 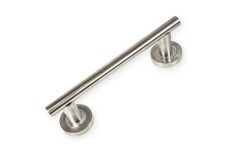 The LocksOnline "Chatsworth" Door Pull Handle on Plate is a smart and attractive piece of door furni.. 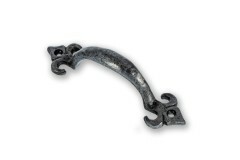 This attractive and traditionally styled door pull handle has a lovely rustic antique black finish a..
With a lightly hammered texture and multi-tonal pewter finish, this Fleur de Lys pull handle offers .. 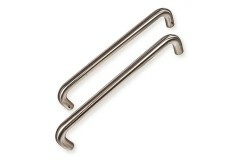 These smart and stylish back to back door pull handles add a sleek modern finish to your doors, whet.. 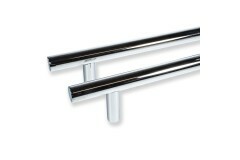 The ever popular Guardsman style of door handle range includes this smart and modern back to back po.. These smart and stylish Guardsman Door Pull Handles in Polished Stainless Steel will add a touch of .. 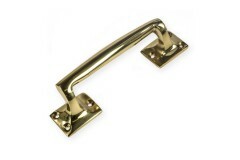 The modern styled and smart Guardsman Door Pull Handle is presented here in a bright polished stainl.. These Satin Stainless Steel Guardsman Back to Back Door Handles have a smart and modern appearance a..
With a chunky 25mm bar, these Guardsman Back to Back Door Pull Handles are a smart and stylish optio..
Smart and stylish, the LocksOnline "Guardsman" Satin Stainless Steel Bolt Through Door Pull Handle o..
With a smart and chunky 25mm bar, this Guardsman Bolt Through Door Pull Handle is a modern and conte..
With smart square styling, the LocksOnline "Kubus" Door Pull Handle will make a statement on your do.. 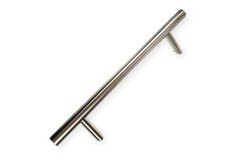 The "Lunar" Door Pull Handle has a distinctive design style, accented further by the combination of .. The LocksOnline "Mitred" Satin Stainless Steel Door Pull Handle is a sleek and modern styled door pu..
With intricate detailing and an ornate style, the LocksOnline "Regent" Door Pull Handle is certainly.. 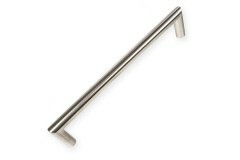 Simple styling and a smart satin stainless steel finish make the "Sandrine" door pull handle a neat .. 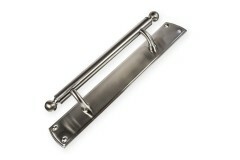 Very much a traditional style, this satin anodised Aluminium Bow Shaped Door Pull Handle is an attra.. This Cranked Door Pull Handle combines smart style with smooth curves, creating a functional and aes..
With a smart satin finish, these Aluminium Bolt Through D Shaped Door Pull Handles provide a modern .. 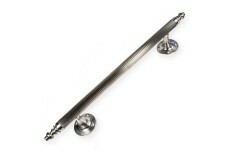 This D style door pull handle on rose is a smart, stylish piece of door furniture. 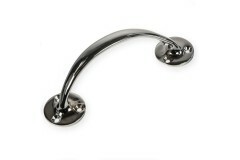 The rose conceals..
With a smart and sleek backplate and nicely rounded bar handle, this door pull handle is a tried and.. 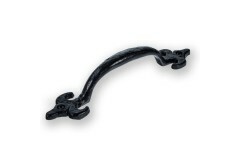 This attractive Antique Black door pull handle has a heart shaped detail at either end of the pull, .. The Bow Shaped Pull Handle is quite traditional in style and design, and well suited to use on doors.. 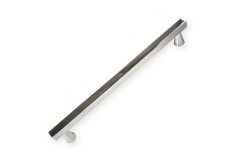 This smart and functional D Shaped Door Pull Handle has a bright polished Grade 304 stainless steel ..
An ever popular shape and style, these back to back door handles have a bright polished finish, maki.. 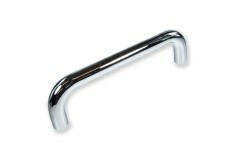 This D Shaped Back to Back Stainless Steel Door Handle has a simple and straightforward design, maki.. 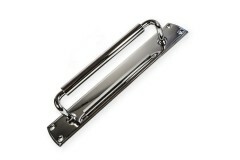 These back to back door pull handles are smart, stylish and thanks to the Grade 304 Satin Stainless ..
With a substantial 22mm bar, this D Shaped Bolt Through Door Handle is ideal for use on passage door..
Smart and functional, this D Shaped Bolt Through Stainless Steel Door Handle is just the job for tho.. 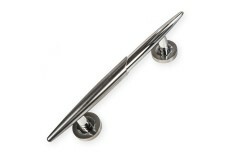 If you prefer your door handles to have a rose where it fixes to the door, then these are the handle.. 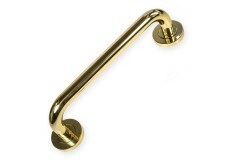 The LocksOnline Door Pull Handle on Round Rose is a smart and functional door handle suitable for us.. 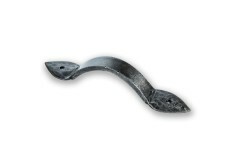 This understated yet striking Hand-Forged Pewter Door Pull Handle is quite an impressive piece of do..
Offering traditional styling and design combined with the reassurance of a solid feel in the hand, t.. 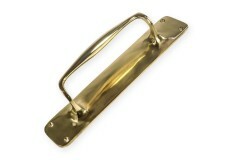 This Polished Brass Door Pull Handle on plate is a solid and distinctive piece of door furniture! 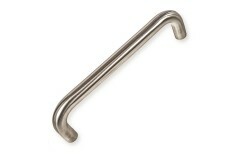 Th..
With a bright, polished Grade 304 Stainless Steel finish, this D Shaped Bolt Through Door Handle is .. 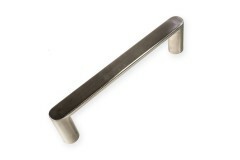 This Satin Stainless Steel Cranked Door Pull Handle is sure not to be missed! The design allows the .. 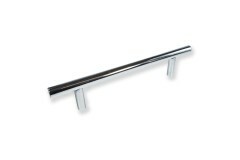 Straightforward, smart and perfectly designed for the job, this Satin Stainless Steel D Door Pull Ha.. 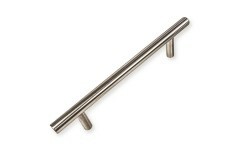 Combining simple yet smart styling with Grade 304 Stainless Steel, these D Door Pull Handles are wel.. 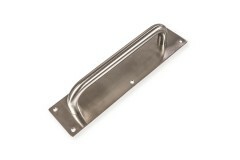 This stainless steel door pull handle on plate is a smart and tidy handle perfect for those doors wh.. 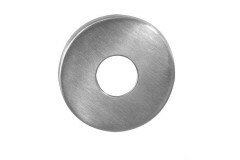 This concealed fix rose is suitable for use with the Guardsman Bolt Through and Guardsman Back to Ba..